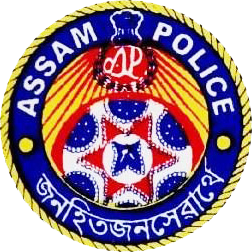 Assam Police recruitment notification for filling up 130 posts of Sub-Inspectors (Un-Armed Branch) in Assam Police Department.Applications are invited from eligible candidates for filling up of 130 existing vacancies in the rank of Sub -Inspector of Police (UB) in the pay scale of As. 14000-49000 (Pay Band No. 2)plus As. 8700 Grade pay plus other allowances as admissible under the rules. Applications must be submitted online through the Assam Police website (www.assampolice.gov.in). Note: 30% (thirty percent) of the vacancies In each category are reserved for women. Age: Candidate should not be more than 24 years and less than 20 years of age as on 1st January 2018. (Candidate must be born on or before 01-01-1998 and on or after 01-01-1994). Age Relaxation: Upper age limit is relaxable by 05 (five) years In case of candidates belonging to SC, ST(H) and ST (P). (Candidate must be born on or before 01-01-1998 and on or after 01-01-1989). For the purpose of determining the age limit, the SLPRB will accept only the date of birth recorded in the Matriculation or equivalent examination certificate issued by a recognized Education Board. No other documents relating to age such as horoscopes, affidavits, birth extracts from Municipal Corporations, service records and the like will be accepted. Educational qualification:The candidate must be a graduate in Arts, Science, Commerce or equivalent stream from a recognized College / Institutions affiliated to a recognized University. i. General: Candidates must not have squint eyes, and should possess high colour vision. Varicose vein shall be considered a temporary disqualification. He/ She must be In good mental and physical health. He / She must be free from any physical deformities and free from diseases such as diabetes, hernia, piles, respiratory diseases or any other ailment that is likely to interfere with the efficient performance of duties. ii. Eye Sight: The distant vision should be 6/6 for at least one eye and not poorer than 6/9 for the other without correction. Near vision should be normal. The candidates should bring a set of attested photocopies along with the originals of the following documents/materials for verification by the Selection Committee on the date of PST / PET Candidates failing to bring the originals will not be considered for such qualifications as claimed by him/her and no further rectifications will be entertained after the test date. ii. Certificate of HSLC or equivalent examination. vi. Experience of service in Home Guards and Certificates of NCC Including certificate of medals / Republic Day Participation Certificate etc. vii. Certificate of Caste from the competent authority in respect of the candidates belonging to ST (P)/ ST (H)/ SC / OBC & MOBC. viii . 2 (two) copies of same passport size photographs which were uploaded in the online application. Applications must be submitted online through Assam Police website www.assampolice.gov.in. No other forms of application will be entertained. A facilitation center will be opened in the office of the District Superintendent of Police in each district with a staff to help the candidates in submitting online application. There is no application fee. 1) Passport Size Photograph: Please pay attention to upload a good quality photograph. Poor quality of photograph uploaded will lead to rejection of your application. The admit card will be printed with the photo you uploaded. i) The photograph must be in colour and must be taken in a professional studio. Photograph taken using a mobile phone and other self composed portraits are not acceptable. ii) Photograph must be taken in a white or a very light background. ii) The photograph must have been taken after 1st January 2018.
iv) Face should occupy about 50% of the area in the photograph, and with a full face view looking into the camera directly. v) The main features of the face must not be covered by hair of the head, any cloth or any shadow. Forehead, both eyes, nose, cheek, lip and chin should be clearly visible. vi) If you normally wear spectacles, glare on glasses is not acceptable in your photo. Glare can be avoided with a slight downward tilt of the glasses for the photo shoot. vii) You must not wear spectacles with dark or tinted glasses, only clear glasses are permitted. viii) Ask your photo studio to provide the image In a JPEG format and also on a standard 4.5cm x 3.5cm (45mm x 35mm) print. ix) Maximum pixel resolution for JPEG: 640 x 480 (0.3 Mega Pixel) (Ask your studio to reduce it to this resolution if it is higher. x) Minimum pixel resolution for JPEG: 320 x 240. xi) The maximum file size is 450 kb (kilobytes). xii) For your own benefit, it may be prudent not to intentionally change your facial features or hairstyle from what is seen in the photograph until the day of the exam. i) Please put your signature in a black or dark blue ink on a white paper. ii) Get the signature digitally photograph / image scanned by a professional photo studio, and get the image cropped by the studio itself. iii) Only JPEG image formats will be accepted. iv) The maximum pixel resolution for the Image is 800 x 300.
v) The minimum pixel resolution for the Image is 400 x 150.
vi) Dimension of signature Image should be 3.5cm (width) x 2.5cm (height). vii) The maximum file size is 100 kb. viii) Mobile phone photograph of signature is not acceptable. and can result in disqualification of the application. ii) Certificate of Caste / Tribe. iii) Certificate of Graduation (BA / B. SC / B.Com or equivalent) The candidate will then click on the ‘Complete’ button to indicate that they agree to all the entries made in the form. The candidate can then download the registration / application slip with ID No. It is mandatory for the candidates to mention a valid email address and mobile phone number in the application form as the same will be required to inform them regarding the status of their application and convey other related information. 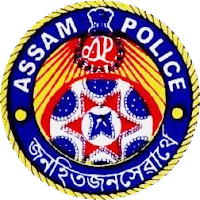 Candidates will be able to download the Admit Card / Call Letter from the Assam Police website by entering their ID number. A list showing the examination centers, dates and list of candidates (ID Nos. only) will also be posted on the Assam Police website. The information will be sent through SMS and email to the candidates on their mobile numbers and email addresses. The SLPRB will not be responsible for any discrepancies that may arise due to entry of wrong mobile number and email address by the candidate. Apply Online for Assam Police Recruitment 2018 - Sub-Inspector (Un-Armed Branch) - (130 Posts) before 17th May 2018.